Are Chips Bad for You? We all know the answer to the question, “Are chips bad for you?” We also know that we’re going to eat them anyway. Learn which types to avoid and what to eat when you just can’t beat that chip craving. Salt and vinegar, barbecue, kettle-cooked, ruffled—to me, all potato chips are delicious. If there’s a bag on the counter, I’ll polish it off easily. Are chips bad for you? I know the answer, so I’ve tried to replace my chip craving with healthy options like carrot sticks and celery. But when I deprive myself of chips, I just crave ’em more. Let’s face it: I’m going to eat them regardless. So I set out looking for a way in which I can do so without risking coronary artery disease, obesity, or death by guilt. Sadly, the answer to the question “Are chips bad for you?” is a definitive yes. As Boston-based nutritionist Laura Hartung says, “Most chips offer little to no nutritional value and are basically fried carbs full of fat with a little added salt.” Yikes! What’s worse is how easy it is to overeat chips. Remember that Lay’s slogan, “Bet you can’t eat just one . . .”? Oh, how true it is. We can blame science for our ability to polish off a bag in minutes. Hedonic hyperphagia is the term used to describe eating for pleasure, not hunger. It pretty much sums up every chip-eating experience. To prove that chips are addictive, German researchers conducted a study on rats. They fed them either chips or rat food. Their discovery: Eating potato chips activated the reward and addiction centers of the rats’ brains more than eating the rat food. The areas of the brain responsible for food intake, sleep, activity, and motion also noticed a boost in blood flow after eating chips. Problem is, the scientists aren’t sure why chips triggered the addiction and other reactions, since the rat chow was also high in fat and carbs. So, the jury’s still out on why we’re addicted to potato chips, but it’s official that we are. Do Chips Have Any Good Qualities? Can We Eat Potato Chips Guilt-Free? What Should We Eat When We Crave Chips? If nothing but chips will do, opt for those with few yet recognizable ingredients and no added sugar. Try one from our list included in our post 8 Healthiest Chips to Eat. Also, choose those made with healthier oils, like coconut. Are Sun Chips Healthier Than Regular Chips? That’s a tough one. Yes, Sun Chips provide slightly more fiber and whole grains than a regular potato chip, but many of the flavors contain added sugar. Another downside: they’re fried. 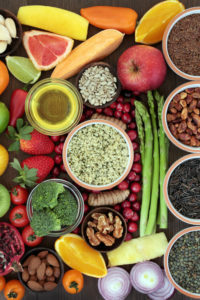 “On a scale, Sun Chips would be closer to the healthy end, but there are chips [e.g., Rhythm Superfood Sea Salt Beet Chips or Brad’s Veggie Chips] that are even closer to healthy than Sun Chips,” says Lauren Minchen, a New York-based registered dietitian. No healthier than the regular type, Minchen says. The only difference between the two is the cooking method. “Kettle-cooked chips are made in batches and dunked into the frying oil, whereas a standard potato chip is fried using a conveyer belt.” When it comes to health and nutrition values, the two are similar, she explains. Are Chips Bad for You If They’re Low-Salt? Just because a bag of chips is “low-salt” doesn’t mean it’s healthy. “Most chips aren’t that high in sodium to begin with, at around 110 to 140 mg per 1-ounce serving,” Hartung says. Lightly Salted Lays chips, by comparison, contain about 85 g. Plus, some people may find it more difficult to practice portion control when eating a lightly salted chip. They’ll eat more because they’ve fooled themselves into thinking it’s healthier. It’s impossible to eat guacamole without using a tortilla chip as a vessel, but how healthy are they? “Tortilla chips can be healthier than regular chips, as long as they contain 100% whole grains and no added sugar,” says Minchen. Are Chips Bad for You If They’re Trans-Fat-Free? Should I Choose Baked Potato Chips Instead of Regular? No, says Hartung. Baked chips have been touted as healthy. Yes, they’re lower in fat (by about 50 percent), saturated fat (by 67 percent), and calories (by nearly 14 percent) than traditional potato chips, but baked chips contain less of the good stuff. For instance, most varieties offer a mere 4 percent of the recommended daily intake of vitamin C as opposed to the 10 percent offered by regular chips. Another downside? They’re much higher in sodium (baked chips contain 11 percent of the daily recommended intake) than regular chips (which have 6 percent). 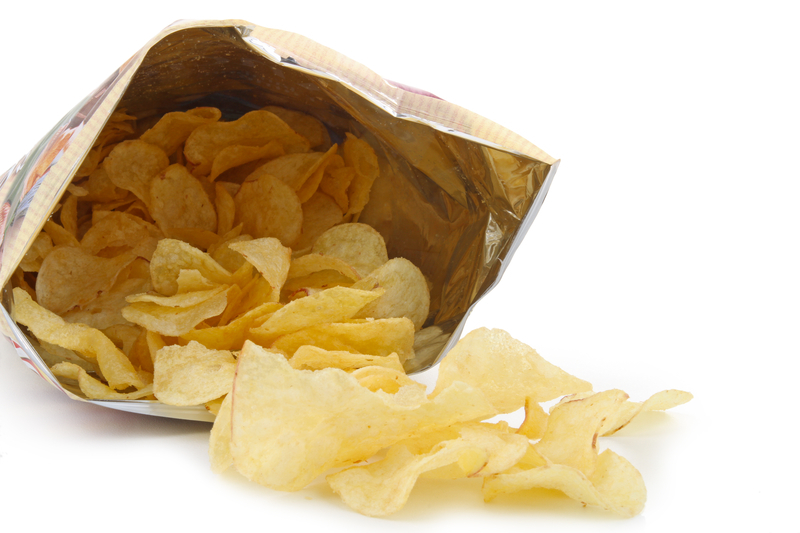 Finally, baked chips contain acrylamide, a cancer-causing agent, Hartung says. Although you’d be very hard pressed to eat enough acrylamide to cause cancer, the baked varieties of chips contain more of the chemical than the fried variety. Sugar Content in Fruit: Is It Damaging to Your Health and Waistline? Sweet Potatoes vs. Potatoes: Which Are Healthier? Are Corn Chips Healthier Than Regular Chips? Not really. “Corn chips [are] a somewhat neutral food, depending on your goal,” Minchen says. “Processed corn chips, like Fritos or Tostitos, contain processed ingredients and artificial flavors. However, a 100 percent whole grain corn chip can provide more fiber and vitamins from the whole grain ingredient than a processed corn chip.” That said, it’s best to get these whole grains from healthy whole foods. Processed foods like Lay’s chips should be relegated to the once-in-a-while category. Like other junk foods, these chips contain refined ingredients and processed oils, Minchen says. They also lack good stuff like fiber and essential nutrients. acrylamide, artery disease, brain, calories, cancer, cooking, corn, coronary, coronary artery disease, diet, fiber, food, food cravings, health, health and nutrition, healthy diet, healthy options, junk food effects, nutrients, nutrition, nutritional value, obesity, portion control, portion sizes, potatoes, processed foods, protein, serving size, sleep, sugar, trans fat, vegetables, vitamin, vitamin c, vitamins, whole food, whole grain, whole grains. I thought you might be interested in this article on https://universityhealthnews.com: Are Chips Bad for You?